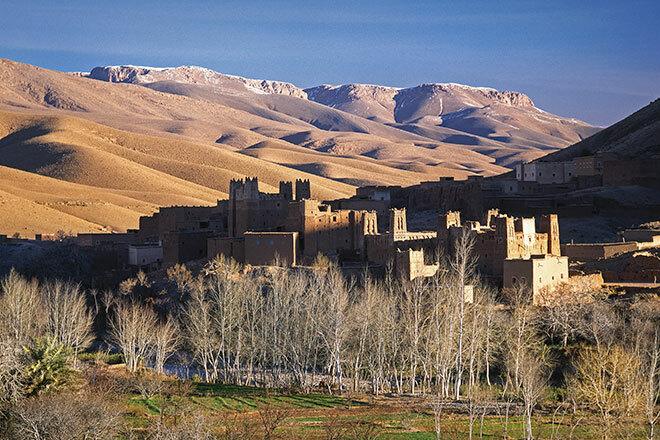 The Dadès Valley, also known as the Valley of a Thousand Kasbahs, has some of the most breathtaking views in the world as selected by The Guardian in its top ‘Rooms With A View’ list. 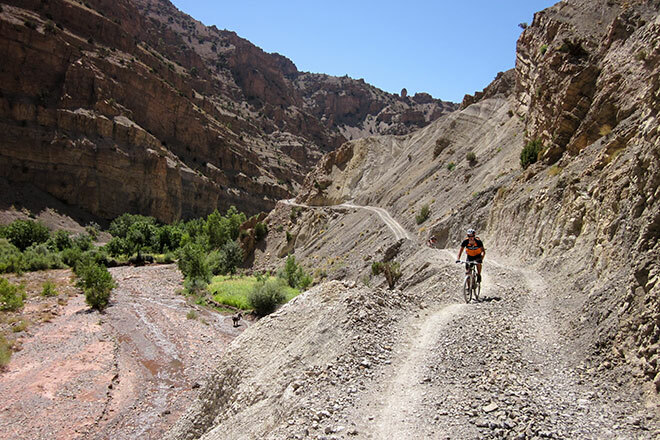 This day-long route will give you a taste of the real Morocco as you cycle through Dadès Valley, Valley of the Roses and the lesser-known, but no-less-beautiful El Hot Valley. 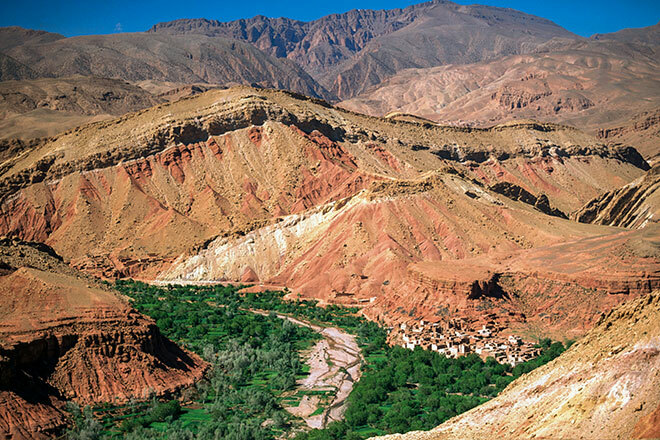 These lush green gorges are amongst the best preserved in Morocco, laden with cliff-side canyons, green oases and semi-desert landscapes. 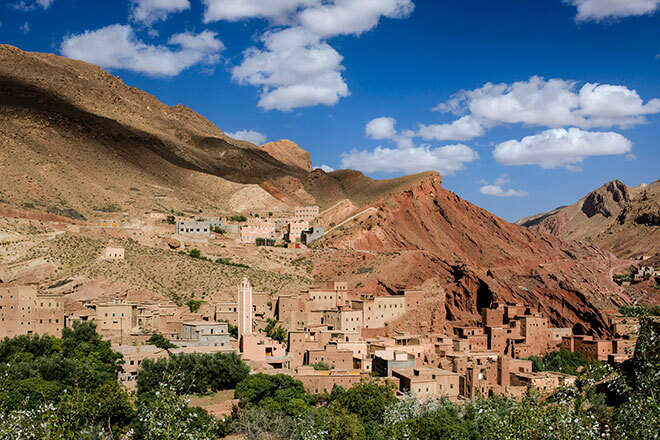 This journey begins in the colourful Valley of A Thousand Kasbahs (as Dadès Valley is also known), where a myriad of spectacular kasbahs line the route, before sweeping into rusty orange canyons and green oases. The Dadès gorge and river flows through it, providing thick vegetation in the shape of figs, almonds, pistachio, and carob trees. Watch as the giant rocks turn rust red and baked terracotta with the position of the sun. 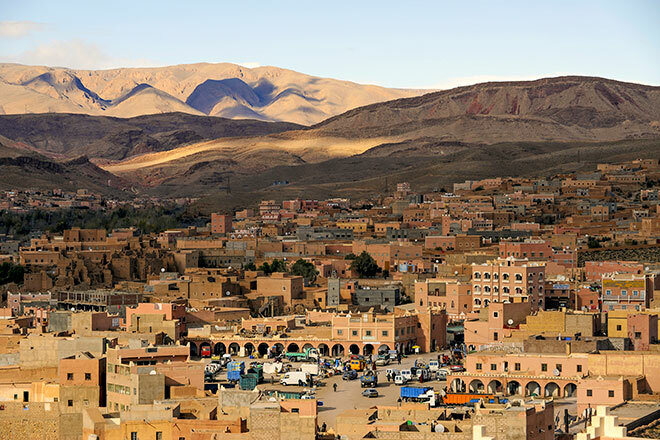 And then to El Hot, a traditional kasbah village nestled in the remote outskirts of the famous Valley of the Roses. From their we will wind back round to M’Goun. You can also choose to take a short break midweek, since you will stay in the town of Boumalne Dadès twice. 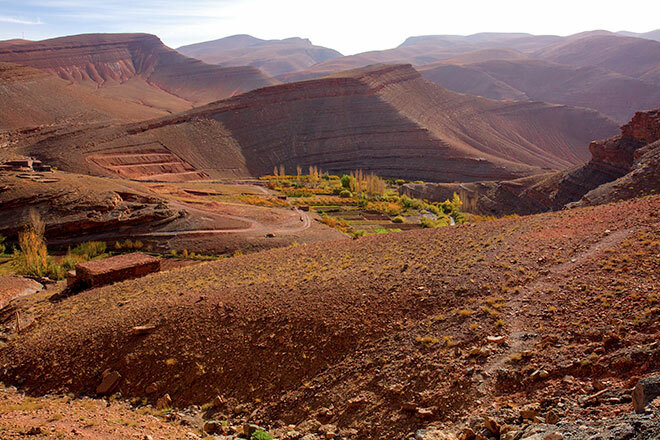 Marking the southern entrance to the Dadès Gorge, you will have the opportunity to take a walk in the shadows of the Dades Gorge, or you can relax at the hotel of your luxury four-star kasbah. 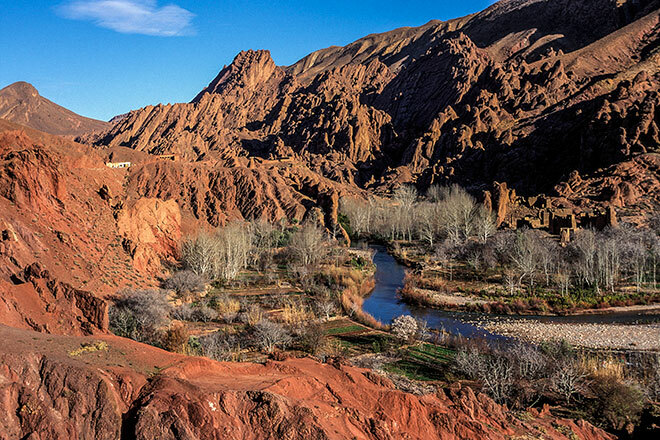 Easy 4×4 and packed-dirt roads, sandstone gorges, rocky paths and some river crossings. 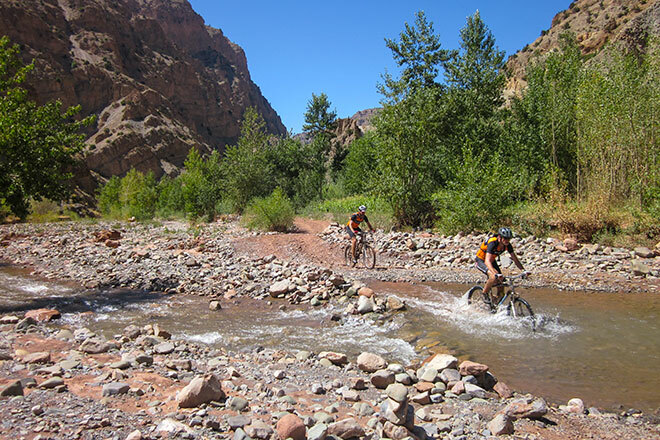 You will cycle 60 km, with an ascent of 1000 metres.